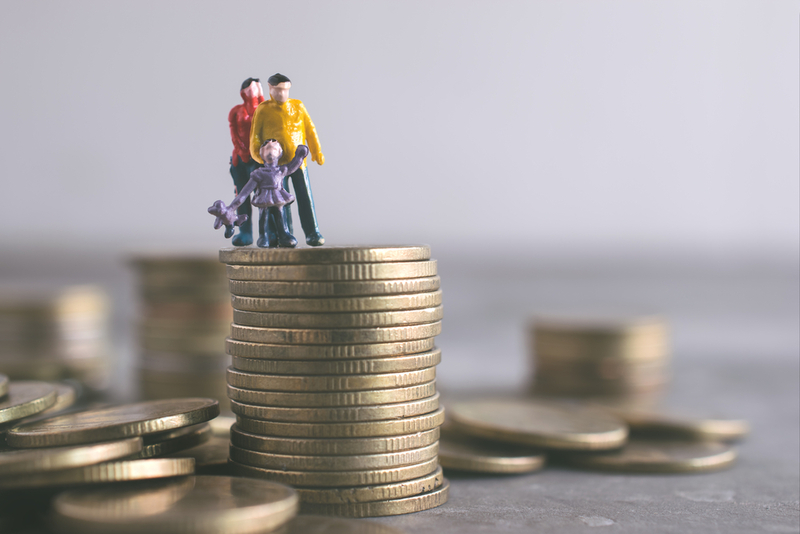 We’ve seen many schemes over the past 3 years to help young prospective property owners onto the ladder but new analysis has shown that the Bank of Mum and Dad is still required to help many across the line. Legal & General recently carried out research that investigated the number of house purchases that would receive a parental cash boost and just how much money the parents would be providing. According to the data, parents will need to help fund 1 in 4 property transactions this year and gift or lend a massive £5.7bn. The report found that 27% of people looking to buy a home this year will receive a helping hand from relatives, a figure that has risen slightly by 2% in comparison to the same time last year. In 2018 it is expected that the value of properties backed by parents will reach £81.7bn, an increase of £4.2bn over the last 2 years and 316,600 homes will be bought with funding from a family member, an increase of 18,600 since 2017. It was also found that while help from parents continues to grow, the amount given will see a fall. Last year the average amount lent was just over £21,000, however, in 2018 this number has declined to £18,000. When comparing the total amount lent to buyers, the £5.7bn predicted for this year is a £800 million drop from the £6.7bn peak seen in 2017, which does suggest buyers are relying less on family and friends to purchase a home but there is still some ways to go before the affordability issue is solved. Group Chief Executive at Legal & General - Nigel Wilson – commented on the results of their research, he said; “The Bank of Mum and Dad remains a prime mover in the UK housing market and will lend the best part of £6bn to buyers this year, with over 315,000 transactions being underpinned by parental help. “However, it’s clear that households are feeling the pinch, as BoMaD contributions have reduced by an average of 17% from nearly £22,000 to a still very generous £18,000. The fact that in 2018, 1 in 4 housing transactions in the UK will be dependent on the Bank of Mum and Dad, while hard-pressed parents are finding it more difficult to provide the funds to help their family with deposits, will further exacerbate the UK’s housing crisis.